First Meal: Before eating, I typically start my day by hydrating. I am not a straight water person, I like flavorings. 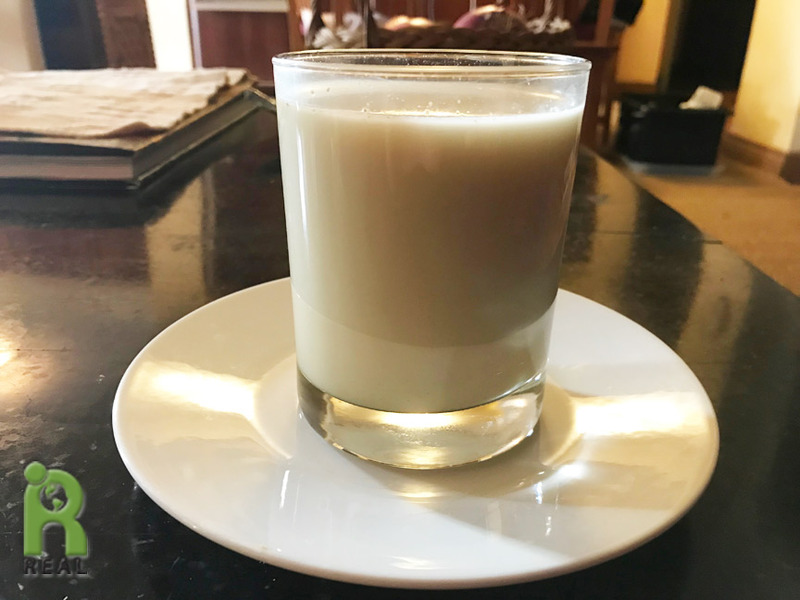 Today’s beverage was Maté and I blended it with my homemade Oat Hemp Milk. Afterwards I made a cold Rolled Oats bowl with more Oat Hemp Milk, lots of Blueberries, Walnuts and Flax Seeds. 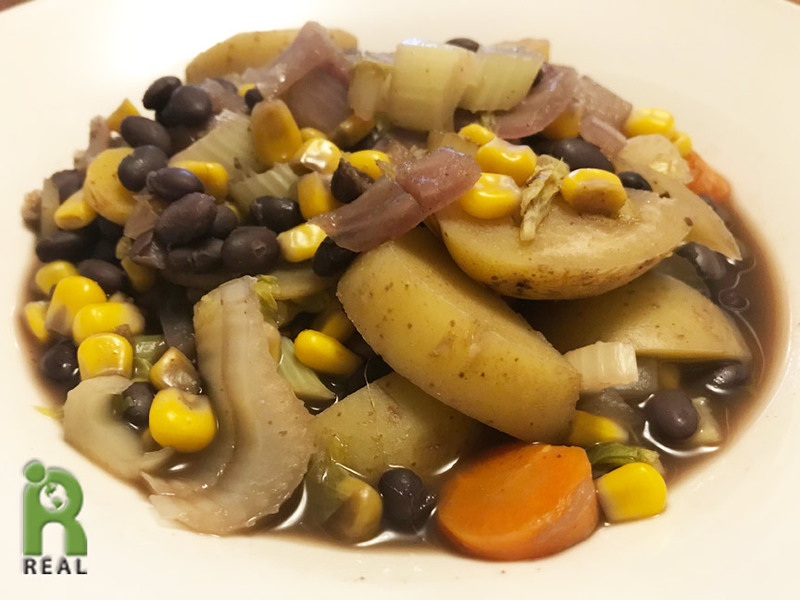 Happy to be back making my own food I put together a quick stew of Black Beans, small White Potatoes, Onions, Corn, Carrots and Celery. I topped it with a quick Cashew Cheese Spread made with Miso, Nutritional Yeast and soaked Cashews. 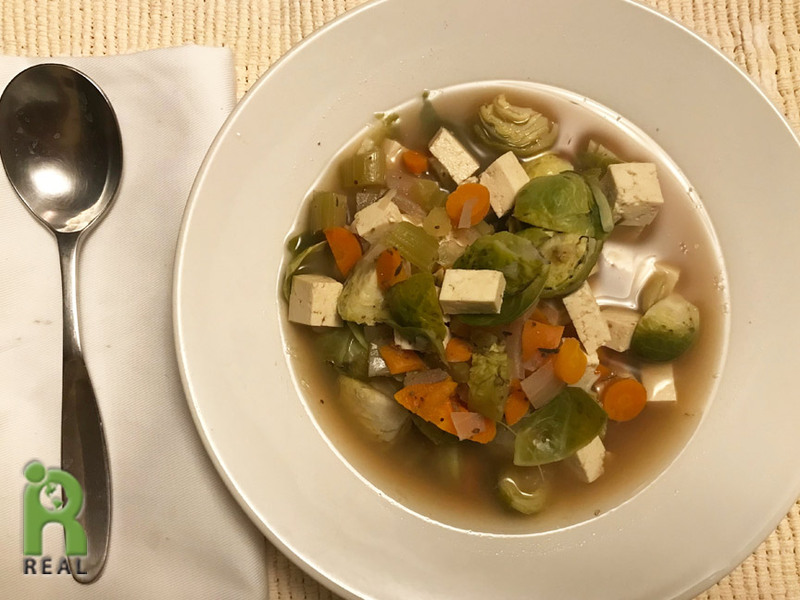 For dinner, I made a quick, brothy soup with Tofu, Onions, Carrots and Brussels Sprouts. Instead of jellies and jams, we make our own fruit butters using an organic dried fruit, cooked until soft and blended with water with no added sweeteners. It’s so simple, cost effective and so much more delicious than anything jarred and found in store. Gary had made Apricot Butter before he left for California and there are two jars staring at me whenever I open the refrigerator. I know they won’t last forever so I have decided to enjoy a little Apricot Butter regularly. 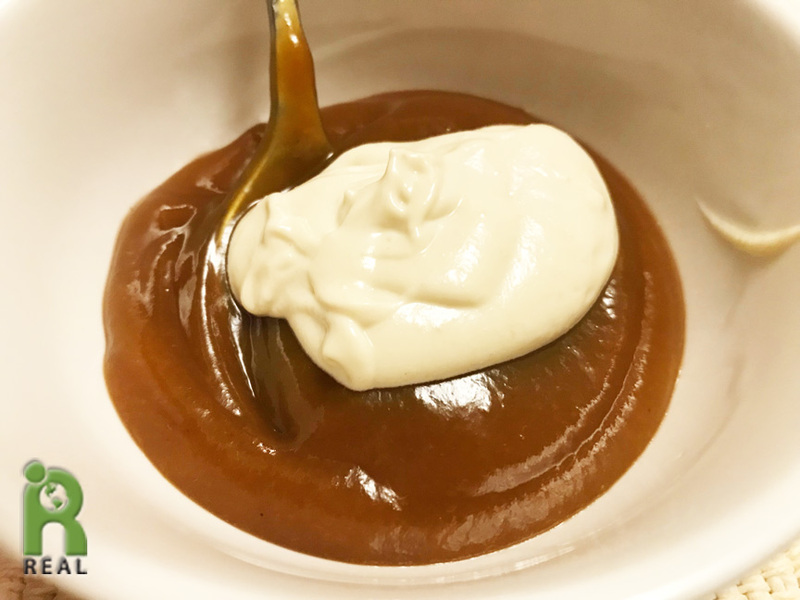 Today I made a quick dessert with the Apricot Butter topped with my Cashew Cheese Spread that I made earlier in the day. I used the word “quick” a lot in this post. Everything I made today was quick. It helps to have all the ingredients and tools at your disposal to make things come together fast.